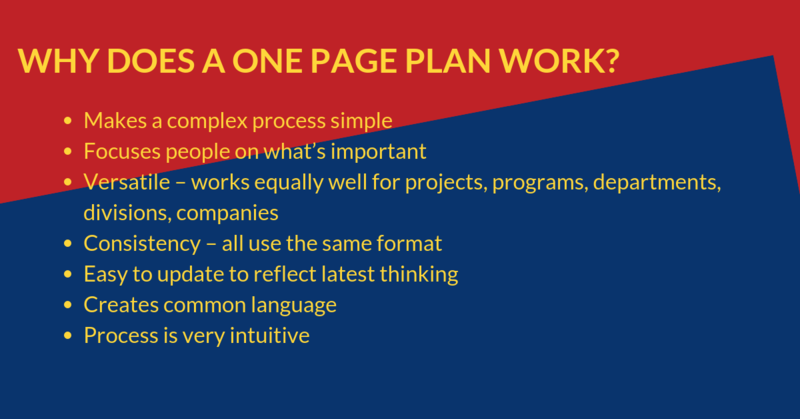 • Every manager has a plan… a one-page plan. Every manager has a plan; and it is just a click away! Online Business Schematic with One Page Plans for every Business Unit. System tracks results of every key objective! Online Performance Scorecard for each and every Objective. Need to know the status of a critical initiative or project? CLICK ON IT! Online Progress Reports for each Planned. No more guessing about the status of any plan! Color-coded business plan status at a glance. Total Accountability! View all Performance Scorecards and Progress Reports for each manager with a just a single click. 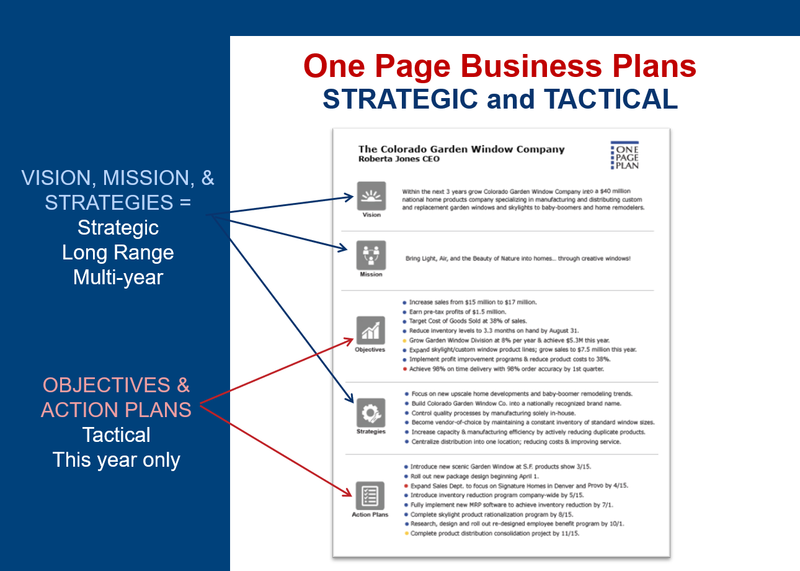 Each One Page Business Plan has five components that work together to describe the profit center, department, project or program being built, why it is being built, how it will be built, and the specific measurable results that will be accomplished. Our consulting services include complete strategic and business planning capabilities using the One Page Methodology. We train, educate, mentor, coach and facilitate your team in the use of the One Page Planning and Performance System. Our team can lead and facilitate one-day in-house training programs or extensive planning retreats. We specialize in fast growing companies experiencing rapid change. Our team works equally well with young managers and Fortune 500 executives. Our One Page Planning Team consists of seasoned business executives, former business owners and senior consultants who truly understand business. This team has been carefully selected, trained and certified in One Page Methodology. These consultants will work closely with you to create and implement a comprehensive plan in days… not months! Our seasoned consultants have expertise in leadership training, team development, and performance management. They understand strategic planning and managing for results… and have all participated in building successful businesses. We can design and implement complete budgeting, forecasting and accountability/business review systems to complement your One Page Planning and Performance System. Implementation is Easy and Can be Accomplished in as Little as 4 Weeks. Business and corporate planning processes have changed little in the last thirty years. They remain highly complex, overly time consuming and very ineffective. CEOs and business owners complain their planning process takes too long and is of little value… yet they have their management teams prepare a new one every year! Why not implement a results-based system that links planning, implementation, and accountability?